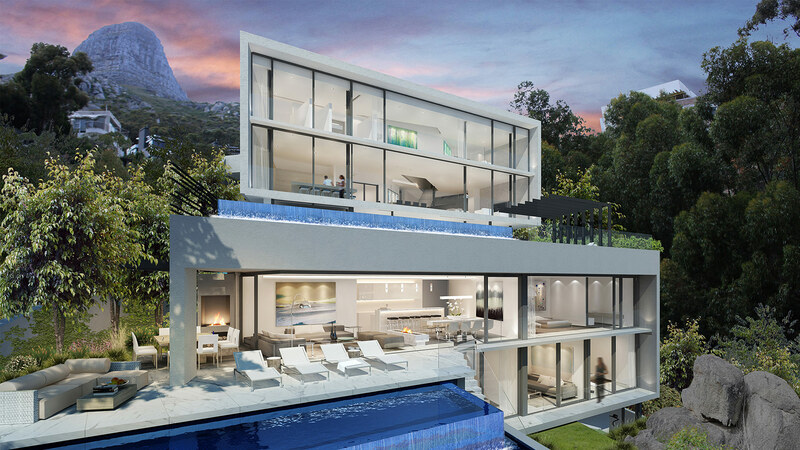 Set high on the Atlantic Seaboard in Cape Town, the site combines views of the sun rising over Lion’s Head in the morning, with views to the sun setting over the Atlantic Ocean in the evening. The design was challenging on many levels, beginning with its natural state-steep, rocky and ridden with large boulders. 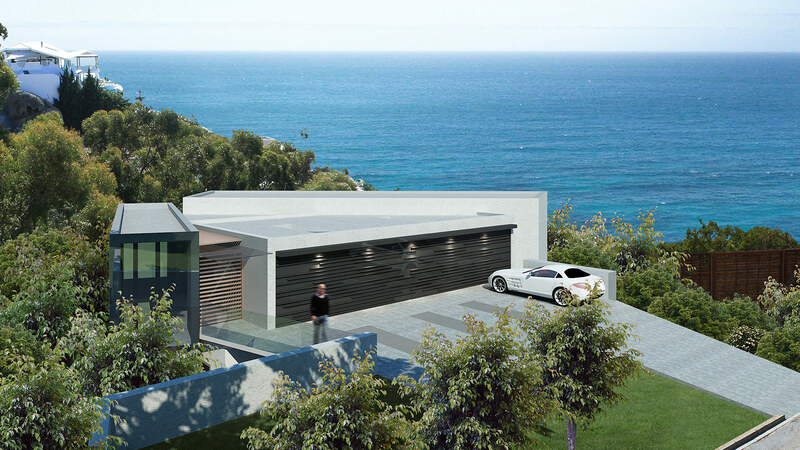 A complex brief for the site- splitting the design into two separate but equally appointed dwellings that each take advantage of the views to the ocean-made it further challenging. 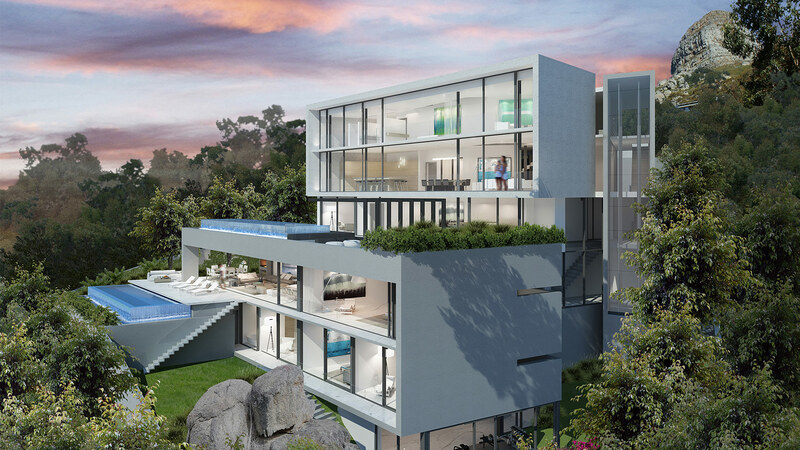 The final design capitalises on the complex brief and the undulating site, with dynamic internal spaces for entertaining, cascading external terraces with pools, and an architecture that mediates between an openness to the views, and privacy to the adjacent properties.